ANA is the largest airline in Japan and has an extensive route network throughout the Far East and Australasia. The ANA Boeing 777-300ER operating on the route from London to Tokyo is a perfect example of the ‘virtual freighter’ with a cargo uplift capability of 45 tonnes. ANA Cargo division operates twelve Boeing 767 Freighters and has a dedicated Cargo Hub in Okinawa. 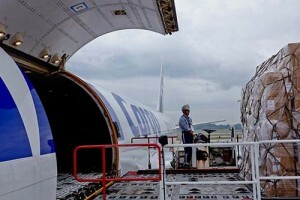 More information and track and trace is available through the ANA Cargo website.